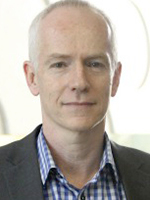 Dr. Murray is Professor in Psychological Sciences at Swinburne University. Dr. Murray is also a practicing clinical psychologist, involved nationally with the training and accreditation of clinical psychologists. His major research interest is the chronobiology of mood, especially the relationship between sleep, circadian function, and positive mood states, and he has over 100 publications in this area. The majority of his work follows a collaborative and multi-disciplinary framework. Greg is a co-author on the Royal Australian and New Zealand College of Psychiatrists’ Mood Disorder Guidelines, and wrote the Australian Psychological Society’s guidelines for psychological treatment of bipolar disorder. He is currently leading a 4-year project to develop and test a new online intervention (ORBIT) for people who have had a large number of episodes of bipolar disorder. A researcher and clinician by day, by night, I have a parallel life as a drummer, and, when not shooting hoops with my kids, I can be seen around Melbourne with the Ambassadors of Love.